A. Your weight gain in pregnancy should be a little more if you are having twins. What is the extra weight in pregnancy made up of? 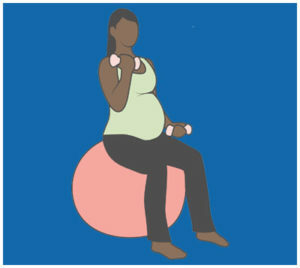 Changes in your body during pregnancy, such as extra fat and increased blood volume, are important for the health of your baby and the pregnancy. Pregnancy is NOT the time for dieting. What should I do if I am worried about my weight gain? A. You can speak to your midwife who can put you in touch with the relevant staff for advice and support.